Experience the classic sport of lawn bowling. Game play is equal regardless of age or gender. Lawn bowling is a dynamic outdoor game played as an individual or a team sport. Join in for easy exercise and friendly competition in a relaxed social atmosphere. April 20th is the day to pull things together for the 2019 season. 9:00am is time for a bit of club clean up and organziation. A litttle work around the green and shed, get the bowls organized, and we're ready to go. 10:00am is the club meeting. Find out how you can keep the club running smoothly and bring your best ideas for events. 1:00pm let the game's begin. Portland will host the first NW Division Indoor Tournament in late April. The plan is a 1-day, 4 rink event at Matt Dishman Community Center in NE Portland. The calendar is set for the upcoming season. Barefoot Bowls schedules are more comprehensive and we've changed times to take advantage of the summer weather. 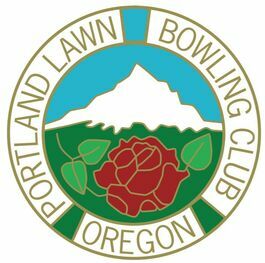 While bowling out of their regular climate (90+), five NW bowlers made a great showing at the 2019 SW Open. In Men's pairs, Chris Davis and Andy Klubberud bettered 50 pairs teams to finish 2nd in the Championship flight! In Women's fours, Debbie Tupper and Pam Edwards enjoyed a 3rd place finish in the Championship flight with teammates from SWD. And Alex Vanden Bos also teamed with SW bowlers with finish 1st in the 3rd Flight. And a first for the NWD, Debbie Tupper and Pam Edwards made it into the Championship flight of Women's singles, tying for 3rd. Support the sport through the Memorial Fund or contact Debbie Tupper for information.